Looking for a local source for aluminum tubing, 2.5" OD, not sure of the ID. Metal type 6061 minimum strength. Found some online, would like to see if I can get it local. I need to make a custom tow bar for my new trailer. Posner Industrys on Airport View Dr.
Be sure to get the heat treat condition that gets you the strength you need. I can't weld aluminum, was going to check into 3 Mules to see if they could fabricate what I want. I don't have any experience with structural analysis experience with welded aluminum but did a quick search and found this which should be useful. Thanx, probably a bit more than I need to consider. I stopped at 3 Mules and got the name of someone who welds aluminum professionally all the time. Going to try and meet up with him tomorrow to discuss the project, but he didn't seem to think it was a big deal. 6061 is a great choice for general purpose use. And you know who they will send you to?...somebody that stocks aluminum and welds/machines it too. ;-p Depends on who is behind the counter on which of the two or three shops they'll mention...one of which is mine. Well..I'm sorta outa pocket right now (Egypt), and you know how sketchy that StgIslander feller is.. I might not have any 2.5" OD tubing...I know I have plenty of sch40 6061 pipe but that's 2.375 OD for 2" and near 3" OD for 2.5". I didn't say anything because I don't weld and only the Lord knows when you'll be back. 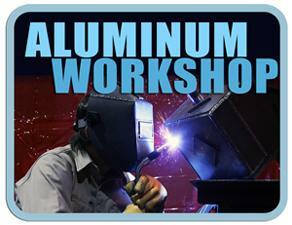 You keep missing our most excellent in-house Professional Growth Seminar on welding. So......... did the bossman tell you about your new on-job training sessions?